Do you think your fate is in the stars? Some people say the star you were born under, or the constellation the sun was in at the time of your birth, determines what kind of life you'll have. I don’t know. I mostly think stars are random. I think fate is random, too. So they have that much in common. But I do know how powerful stars can be sometimes. A buddy and I were camping once in the Chihuahuan desert of southern New Mexico. Night came. He was in the tent, and I was lying on my back outside just staring up at the stars – so many, so deeply layered, brighter ones, dimmer ones, giving such an impression of infinity. Finally, I yawned and stood up to go into the tent. I was pausing, looking around for just a minute more. There was one star I was staring at, about 45 degrees up, halfway between zenith and horizon. I took a step toward it. I don’t know why. And then another step. I had the thought: "Actually, I don't think I do want to retire for the night. I feel like going for a walk." “Hey, Rob,” I said back to the tent. “I’m gonna go for a walk.” Silence. I guess he was already asleep. I picked up my canteen belt, put it on, and turned back to that star and started walking. Why not? That was as good a direction as any for taking a walk in the trackless desert. 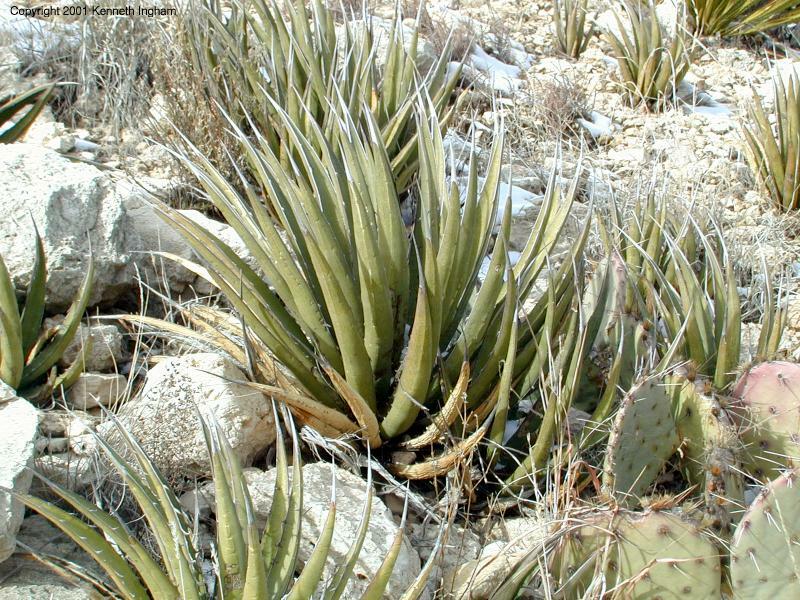 I had my flashlight because it was a moonless night, and the desert has so much sharpness: prickly pear, cholla, ocotillo, and those low-growing pointy plants aptly named “shin-daggers.” I stepped around, over, and between all of these and otherwise walked toward that star. I’d been walking about 20 minutes when I saw something moving over on my left. 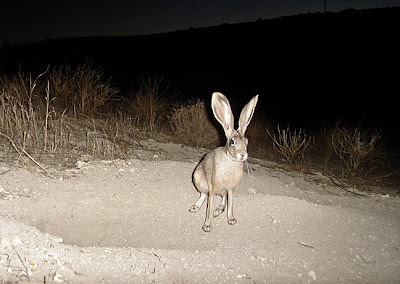 I swung the flashlight over, and saw a jackrabbit. Caught in the flashlight beam, she froze. “Well, I was just following that star.” I said, pointing. “You are both,” said the jackrabbit. “Probably not that,” said the jackrabbit. “Why, indeed?” said the rabbit. “Well, come along then,” I said. And together we walked on, following a star, and the beam of my flashlight. Another 20 minutes further on we came across the body of a coyote. I could see she had been shot – probably some miles away – and had made it this far before she died. I shuddered. We heard a small yip, coming from the direction the star. Venturing farther we found a small coyote pup, weak and barely able to move. "I guess that was his mother we just passed," I said. "It was," said the rabbit. I poured some water into the cap of my canteen, picked up the pup and held the water to his nose. He lapped it up. “That’s not what I meant,” said the jackrabbit. “Oh!” I said, realizing. I stopped in my tracks and turned and stared at my new friend. It didn’t seem right to shine the flashlight right at her, so I shined it on the ground in front of her, and looked at her shadowy form in the indirect light. I could make out her nose, closest to the light, and there was something peaceful in the regularity of its wiggle as she breathed in and breathed out. The tears I had felt coming, came. I cried and did not know why. 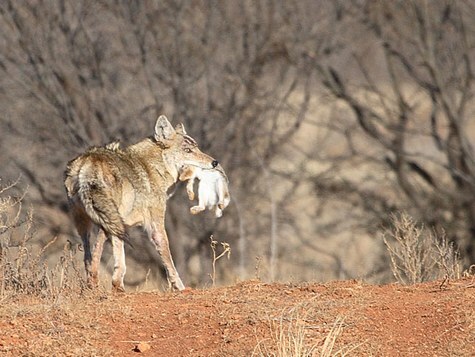 I cried for myself and for hungry coyote pups, for shot coyote moms, for ranchers who shoot them, for rabbits that coyotes hunt, and for all this wide world of coming and going. The rabbit said nothing; just sat beside me as if waiting. I wiped my eyes on my free sleeve and looked again into the sky and the dense field of stars. In that moment my confusion lifted. Everything became clear, beautiful, and sharp. The desert has so much sharpness. “And the third time?” I said. “The third time,” she said, “I will know the glory of failure. Now get up. Go. Our parts are not over.” With that, she turned and disappeared into the night. I did as the rabbit said, and when the pup got stronger, released him to the desert. I often remember that night, and that star I followed. 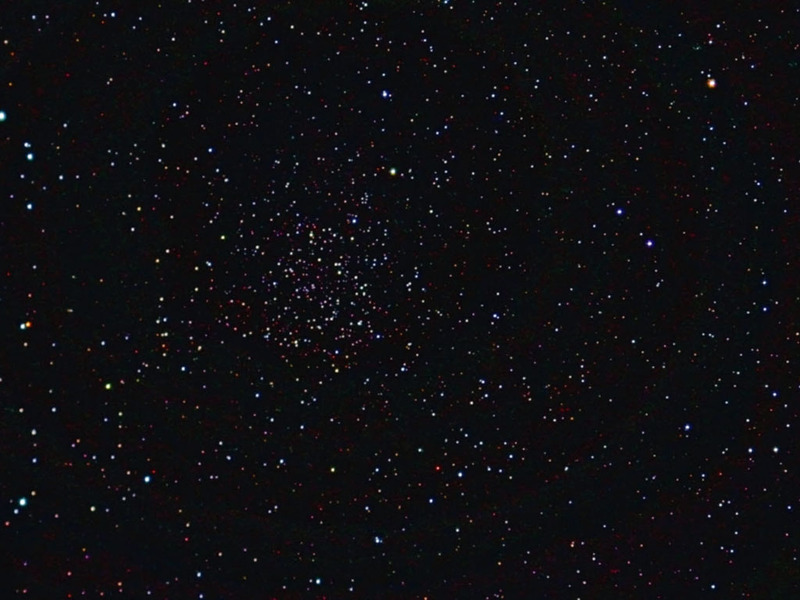 I mostly think stars are random. Mostly.